Acknowledge your hard working judges with Chili Cook Off Judge Ribbons! 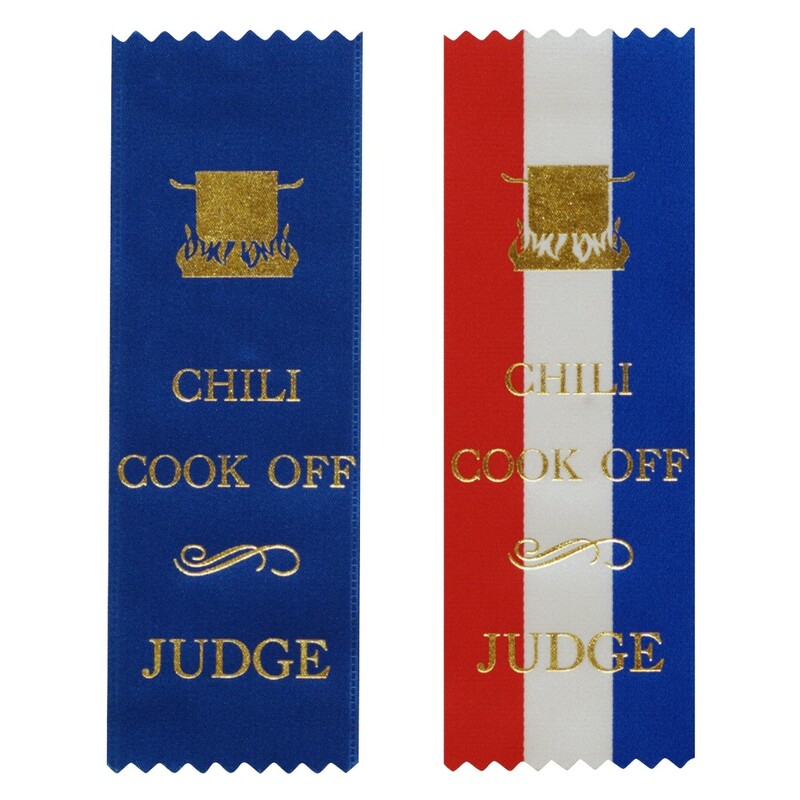 Available in sets of 5, these ribbons feature a gold foil chili pot over an open flame. Underneath are the words "Chili Cook Off Judge". Available in either Blue or Red/White/Blue Patriotic Stripe, the ribbons measure 6" by 2". A small piece of tape is included on the back of each ribbon for wearing or display.